North, originally uploaded by recaptured. I woke up at 3 in the morning at Sarchu, partly to prepare for the long ride that lay ahead of us that day, and partly thrilled by the prospect of seeing millions of stars at once (you get to stay in tents at Sarchu). Despite not having an intervalometer with me, I could not give up the temptation to click star trails. 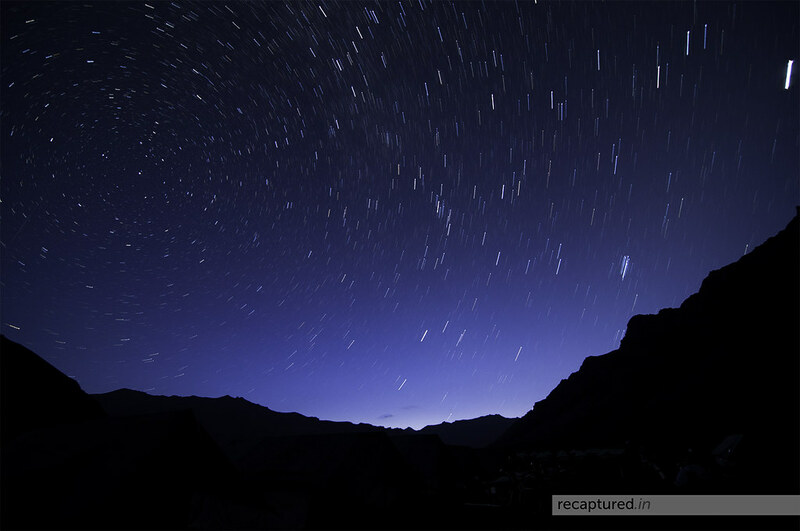 So here it is: the Northern Sky as seen from Sarchu.